View Basket “Hammer – The Haunted House of Horror” has been added to your basket. Following on from our hugely popular volumes on Hammer and Amicus Films we are proud to be able to complete a terrifying trilogy with this exhaustively researched and stunningly illustrated book on the many other great British horror movies made by companies such as Tigon and Tyburn, and cult directors like Pete Walker, Terence Fisher, Freddie Francis, Michael Reeves and Norman J. Warren. Britain has the most hauntingly appropriate landscapes for horror and a rich supernatural tradition that filmmakers continue to explore. 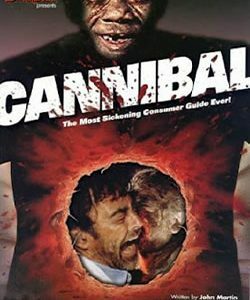 Many of genre cinema’s most enduring classics were made here and you are sure to learn something new about these old favourites in a book that tackles the subject in exhaustive detail, right from the silent days through to the modern era of low budget streaming screamers! Along the way we cover the movies of the great Tod Slaughter, Britain’s unsung horror star, and salute Ealing’s chilling ghost story compendium, Dead of Night (1945). We also look at AIP’s adventures in the UK and the controversy surrounding Anglo Amalgamated’s so-called ‘Sadean Trilogy’ of Horrors of the Black Museum (1959), Circus of Horrors (1960) and Peeping Tom (1960). The rich rural landscapes of ‘folk’ horror are a big part of this book too, epitomised in the likes of Robin Hardy’s pagan masterpiece, The Wicker Man (1973), Michael Reeves’ unforgettable Witchfinder General (1968) and Tigon’s unofficial followup, Blood on Satan’s Claw (1971). To tell the full story of British Horror Cinema, Dark Side editor Allan Bryce has enlisted some of today’s most highly respected genre authors – award-winning writers such as Simon Fitzjohn, John Hamilton, Christopher Koetting, John Martin, Denis Meikle, Neil Pettigrew and M.J. Simpson. Each one brings their unique style and knowledge to their specialist subject. 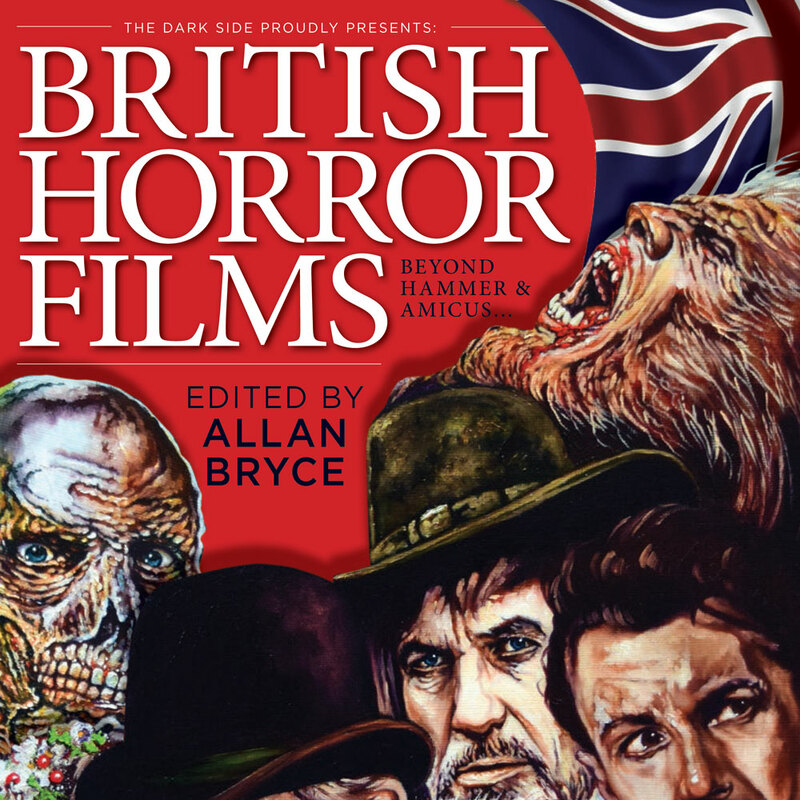 Profusely illustrated throughout, with never-before-published stills, posters, lobby cards and candid photographs, this lavish book is an essential purchase for any fan of British horror films! 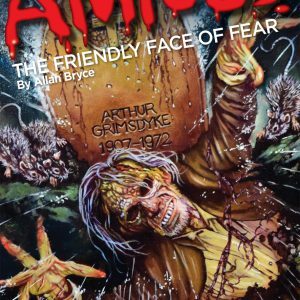 PRE-ORDER BRITISH HORROR FILMS BEYOND HAMMER & AMICUS BEFORE NOV 1ST AND GET A SIGNED COPY AND A PERSONAL DEDICATION IN THE BOOK ITSELF! Finished copies of this stunning book will be delivered to us on November 18th. It has a limited print run and will only be sold through The Dark Side – for £20 a copy including p&p. Please be aware that the price per book for foreign orders is £25 to take account of the higher postage rates. To encourage readers to pre-order, we have decided to offer the same unique incentive that proved so popular with our Amicus book. If you order before November 1st (when we go to print), your name will be included in the book itself – you will be given a personal thank you in the opening acknowledgments page, and editor Allan Bryce will sign your copy. 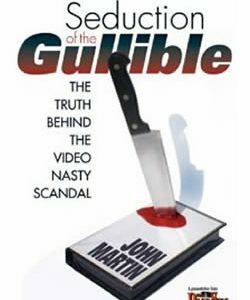 Payment can be made in two ways – via PayPal here, or by cheque to Ghoulish Publishing to 29 Cheyham Way, South Cheam, Surrey SM2 7HX. Be sure to get your payment in before we go to print on November 1st or you will miss out on having your name in the book itself.